According to those in the know, making it onto The World’s 50 Best Bars list is some feat – especially when the other top-10 venues are all located in the bright lights of New York, London, Singapore or Athens. In this case, the man walked into a bar tucked behind a cat food shop, halfway up the world’s longest escalator, and down a dimly-lit alley in central Hong Kong. Intimidated? Maybe, particularly when entering such an acclaimed establishment is a slight challenge in itself. The man had to locate the hidden handle in the black front door. He opened it, to be greeted with an eerie mosaic splash on the back wall. It’s made as a nod to literary giant Ernest Hemingway – confirming the connection to the bar’s name, The Old Man. But there is another level of mystique. The man later finds out the mosaic is made of leftover material from the building. Hemingway overlooks the lone, T-shaped table acting as the small room’s centrepiece, which features an iced gold plate running through the middle. A quick turn of the head and, with only a handful of tables at the back, the man realises no more than 25 people could squeeze into the green-tinted venue. “The owners wanted it that way,” says Jake, the bartender. If bar managers Roman Ghale, Agung Prabowo and James Tamang are going for intimate, then it doesn’t get more cosy. The Filipino bartender’s charm is disarming instead of snobbish. “What would you like? Sweet? Savoury? Crazy? Classic?” he asks, handing the man a surprisingly simple one-page, 10-drink menu, all priced the same. There’s no food, but there’s a lot to digest. The Old Man’s ‘Winner Take Nothing’ cocktail. Each cocktail is not only named after and inspired by a Hemingway classic, but every taste is an experimental mix of ingredients from his famous sojourns. Jake, anticipating the man’s indecision, makes his first recommendation. “It’s my favourite,” he says. The intriguingly named A Moveable Feast. “Rotovap sea, clear-spiced cherry tomato, coconut, basil, tomato seeds – oyster leaf infused in cheesewax,” reads the menu – all of which gives the impression that you’re about to eat something rather than drink it. Sure enough, the man pays extra attention to Jake’s instructions – “bite the leaf, take a sip, then tell me what you taste”, he says – and allows sensory takeover. It’s designed as a twist on the Bloody Mary, believed to be Hemingway’s tipple of choice at its birthplace in Paris, where he wrote the book. In a bar that distils its own alcohol, the tomato seeds allow for it to have the taste of the Bloody Mary, but not the colour. As the man works his way through the menu – the pricing is believed to be slightly below average for Hong Kong – he wonders how this place got its rating. What takes precedence? Is it the quality of the drink? The exclusivity of the customers? The design of the venue? “Good drinks, good people, good times,” sums up Holly, a former bar critic herself before dropping her pen and picking up a cocktail mixer. “The drinks don’t have to be that good, actually. I think vibes and decent drinks are important, but it’s the people that make it. Holly goes on to recall a visit to a different top-10 bar – not in Asia – where she was disappointed by being confronted with a 25-page menu. She admits that, for the first time since she can remember, Hong Kong is finally spreading its wings in the food and beverage scene. Three of the top-10 bars are located on the continent. “I’ve lived here for eight years and while I might be a Londoner – don’t get me wrong, I love the bars there – I don’t feel any affiliation for them,” she says. “I recently went to a bar in Berlin and I said to everyone, ‘Watch out, Asia’s coming’. Cathay Pacific flies to Hong Kong from Sydney, Melbourne, Brisbane, Adelaide and Perth. The Jervois is an upscale hotel in Sheung Wan, away from the hustle and bustle of central Hong Kong. Part of the reputable National Hotels chain, it has rooms from around $A350 a night. The Old Man Hong Kong, inspired by Ernest Hemmingway, believes every drink has a story to tell. 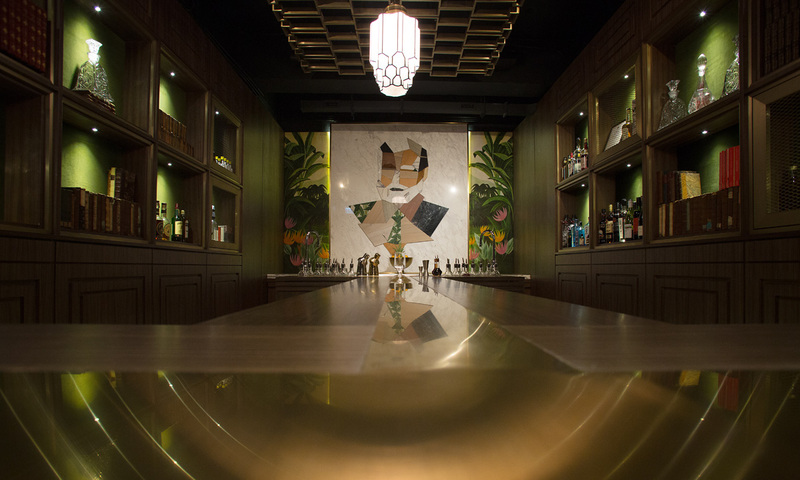 A good drink needs a good feed, and The Old Bailey (no connection to The Old Man), perfectly strikes a modern edge to traditional Cantonese cuisine in the aptly situated Tai Kwun heritage site that pays homage to Hong Kong history. For more info on Hong Kong can be found here. The writer travelled as a guest of Hong Kong Tourism Board.